Well, you can probably guess now what I did with them. Giant buttons! I LOVE how they look on the wall, they make me smile every time I glance over there! 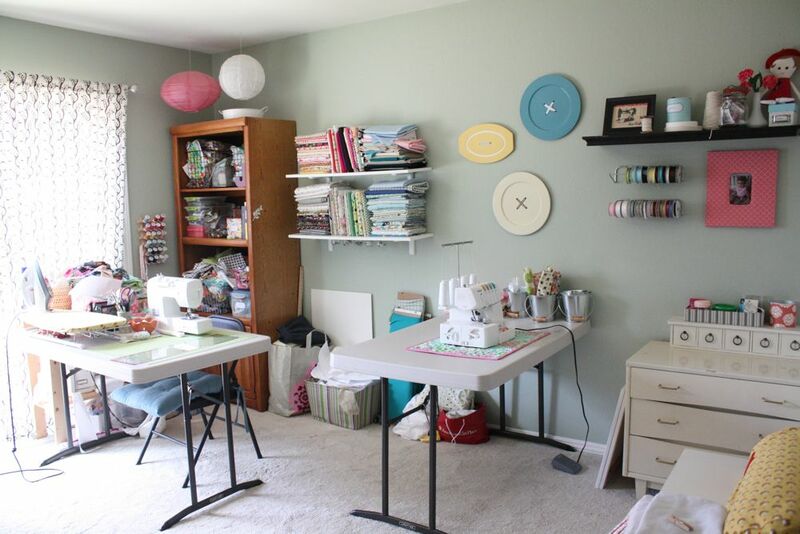 Speaking of craft rooms… ;)…I put up some updated pics on my crafty space post, so go check it out! I also have a button on my sidebar for future updates! Cause you KNOW I can’t leave well enough alone. I always like to change things up! Don’t forget to go check out this week’s Green projects over on One Month to Win It! I love them!!! Now I’ll look at wooden platters differently! !….and get me some. 🙂 Thanks for the idea. Love love love it! looks great & I’m sure feeds your inspiration daily. I love it! I’m definitely going to make one of these for my craft room… thanks so much for the inspiration. Those are sooooo fun! 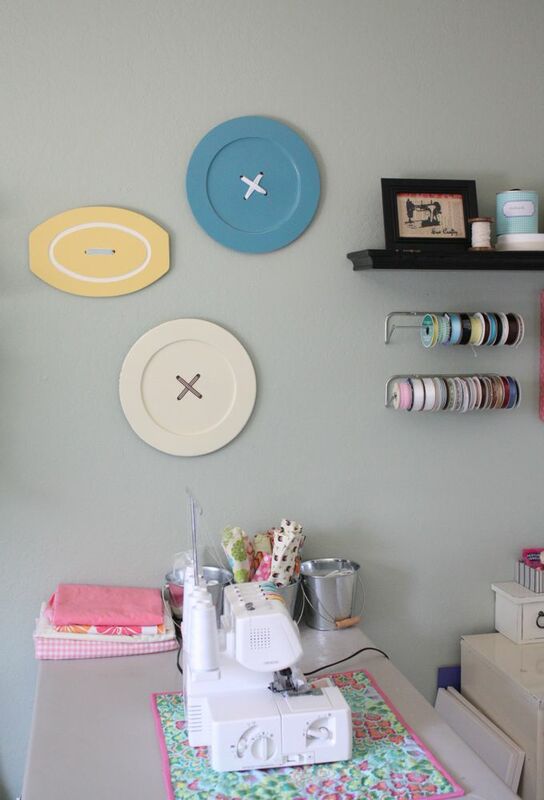 Love your crafty room. What a cute and Clever idea!!! I love it! Your room looks great! I love these! I need to make some for my craft room! So perfect for your craft room! Love it! UMMM, that is the cutest thing EVER! I love it! You are so clever! I would have never looked and those and thought “buttons” but it is absolutely perfect! Adorable. LOVE THE GIANT BUTTON IDEA!! 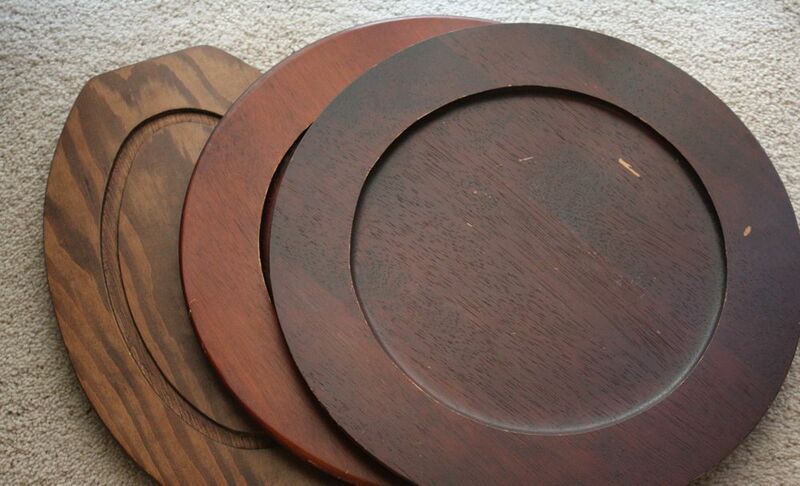 I will now be scouring charity shops for old wooden plates/trays to convert. You had better believe I will be scouring the planet for wooden platters. The end. Well i never had imagined about giant buttons! They are perfect for your craft room! I love those ribbon holders… Where did you get those!? I love those! Such cute decoration for your craft room! Oh I love that!! Never would have guessed that was what you were doing with those! So cute!! The buttons are so cute… I love the yellow one. 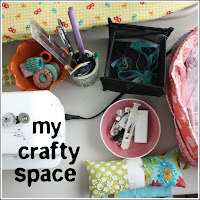 Your craft space is so inspiring! 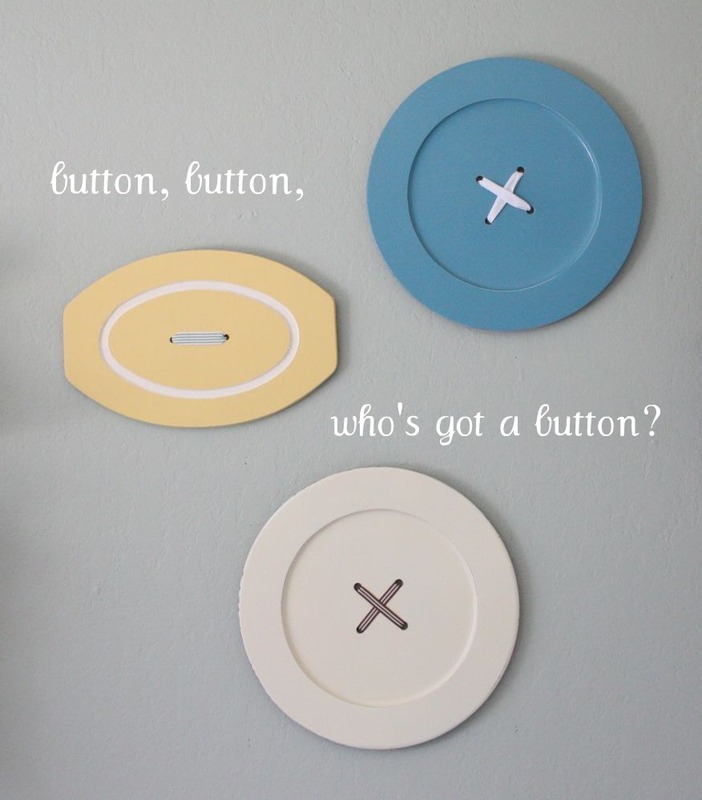 Those buttons look so good in your craft room. Very creative! Love those! Very fun idea. Might need to make some for my craft corner. so super cute….such a great imagination! love them!!! Hi, Jess! I’ve made my own version of your buttons (much more little, but “giant” buttons also) and I’ve link your post in my blog. Thanks for the inspiration. Hi, Jess, you “saved” my life with this post. I have to make a present (my boss’s wife!) to someone who loves sewing too, and it has been the perfect gift. I have framed three buttons. Here you have the link to my post. Thank you very much again!